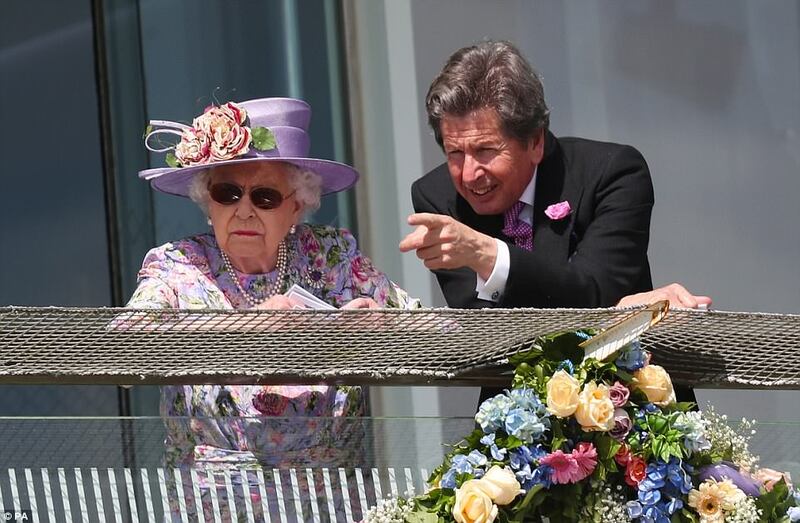 On June 2, 2018, Queen Elizabeth attended the second day of the Epsom Derby Festival 2018 held at Epsom Racecourse in Epsom. The Epsom Derby Day takes place annually at Epsom Downs Racecourse as part of the Investec Derby Festival. Derby Day is one of the biggest race days in the summer calendar. Winners receive a prize of £1.5 million. Love love the queen's outfit. She always looks polish and nice. I don‘t think they are sunglasses, they seem to be phototropic glasses. I think she wears them to take care of her eyes. What is there to say wonderful. 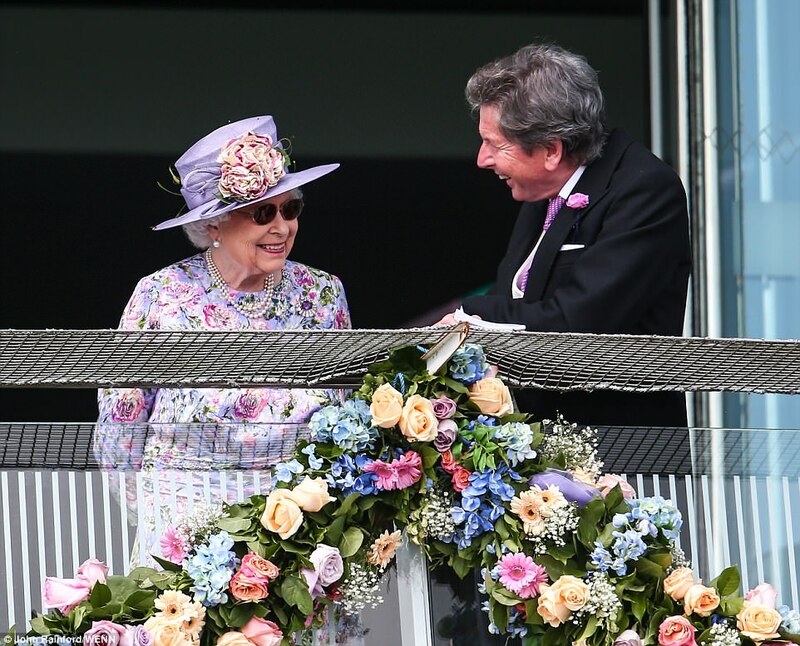 The Queens horse must have won, she seems to be very happy. Très élégante comme toujours ! Looking wonderful - still can't believe she wore a coat to start with. It was really warm. Love the floral dress and the hat with the little floral adornment. The Queen Elizabeth looks very cool and wonderful. What glorious flowers are decorating the royal box! Breathtaking. I wonder if the great color coordination with Queen's floral print was pure coincidence. 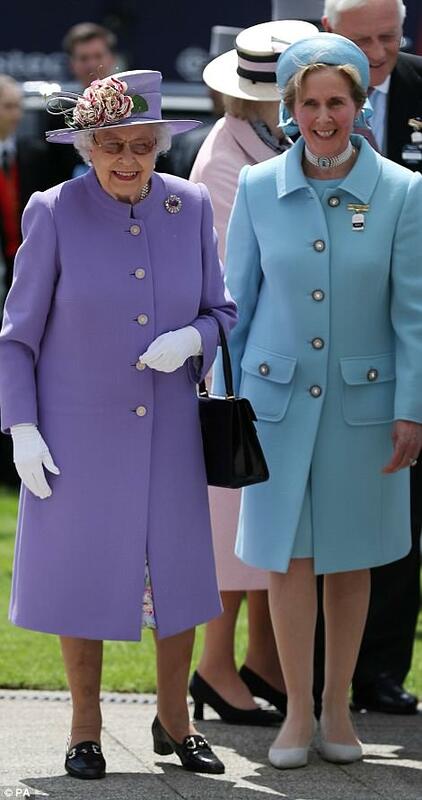 The Queen looks fantastic and Lady Carolyn Warren looks as elegant as ever. Lovely dress for a lovely "Granny-Queen". 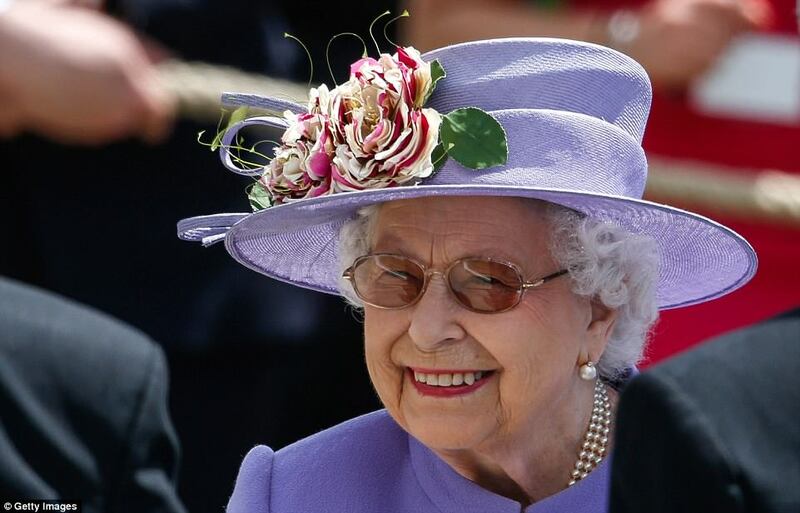 Queen Elizabeth II always is stylish in her own way and never matronly. I wish I' ll be so pretty with 92 years! 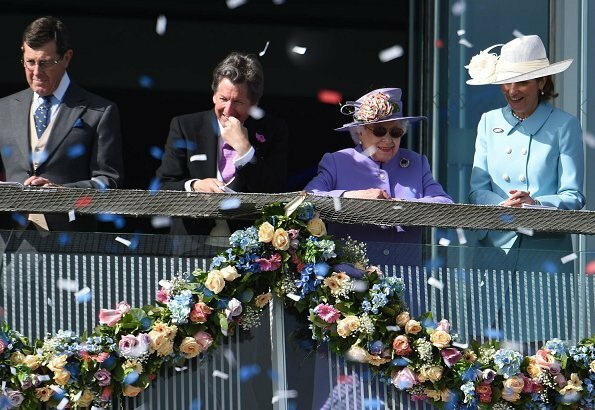 HM Elizabeth lebt endlich das joie de vivre voll aus. Und das sieht man ihr an. Da ist es egal, ob eine 9 vor der Jahreszahl steht. Disziplin und ein erfülltes Leben sind die Ingredienzien auch im hohen Alter noch so topp auszusehen. Ich wünsche ihr noch viele schöne Momente!!! For a moment I saw Diana in blue on the balcony. She is missed! The lady in aqua looks like she has been plucked straight from the 1960's.